Between Richmond Green and the river Thames a royal palace once stood proudly alongside the water, its turrets thrusting into the sky. A 100-foot long great hall, a 200-foot long open gallery, a chapel and a library were all contained within its walls. 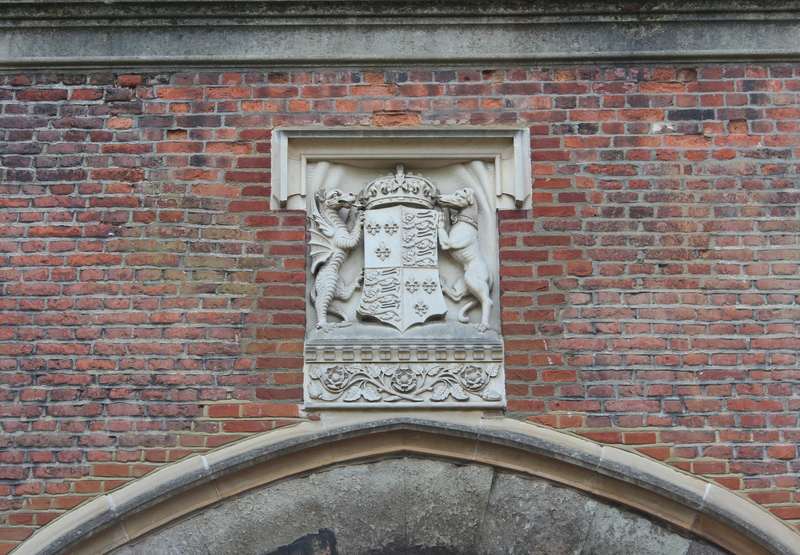 Once a favourite haunt of Elizabeth I – who hunted in the nearby Old Deer Park – you will be called upon to use your imagination when visiting this site today as only traces remain. 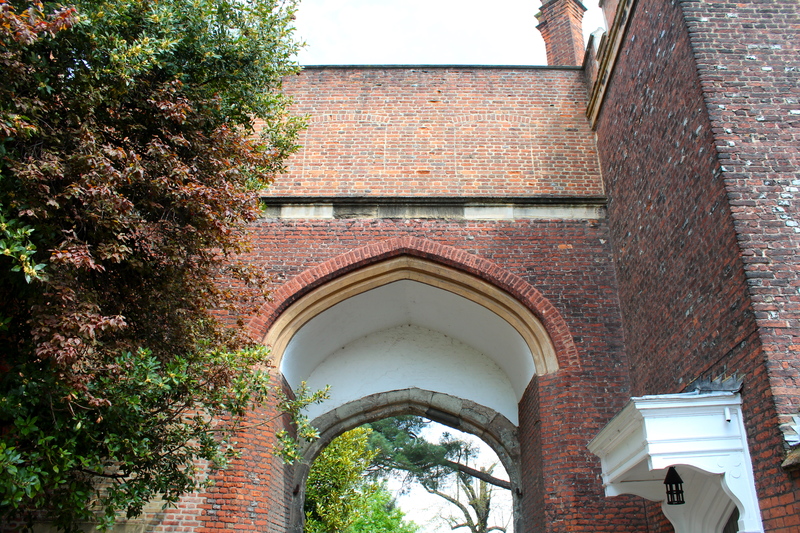 Built in around 1501 for Henry VIII (formerly the Earl of Richmond), royalty lived in Richmond Palace until 1649. The nearby town felt it sensible to obey Henry’s edict and change its name from Shene to Richmond. 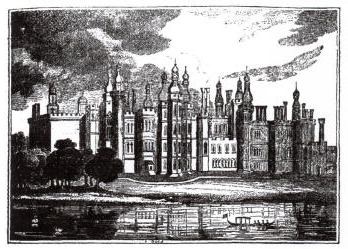 Tragically, the bulk of the Palace was demolished in the mid-17th and early eighteenth centuries. 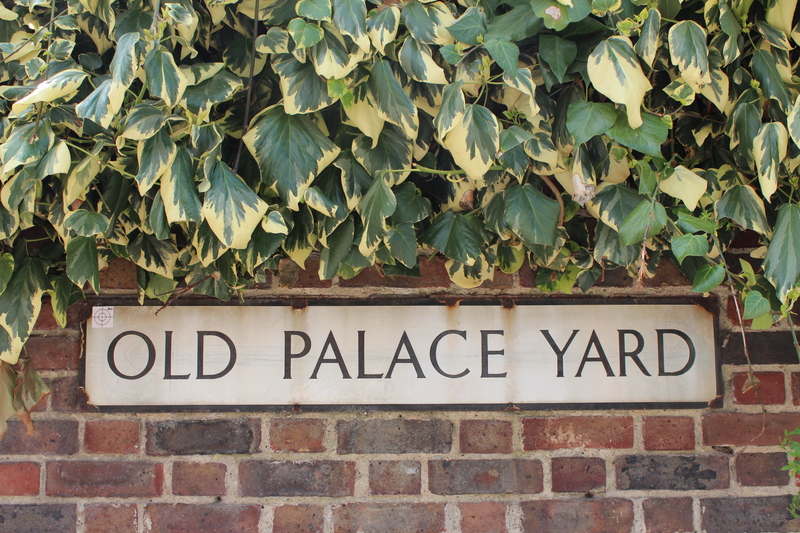 The street names themselves are evidence of the site’s former life – today you can still traverse along Old Palace Yard, Old Palace Lane and The Wardrobe. Keep an eye out for the Royal bollards. 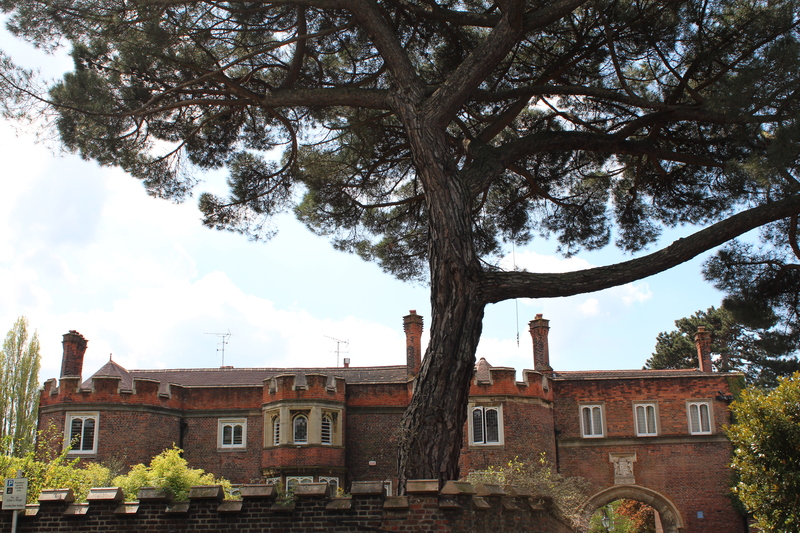 As well as the five-bedroomed Gate House, you can see the Wardrobe (which was joined up to the Gate House in 1688-9), and the Trumpeters House (built in 1702-3, replacing the Middle Gate). 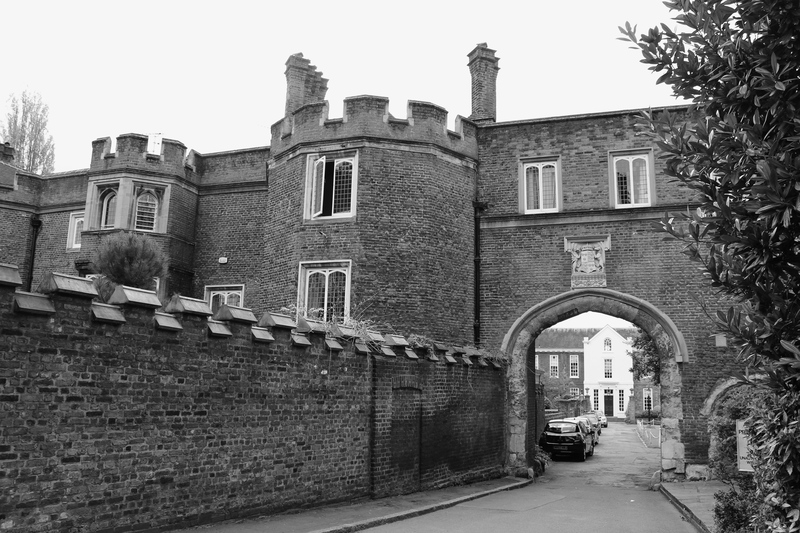 Maids of Honour Row, just to the left of the Gate House along The Green, was built in 1724 for the women attending the Princess of Wales, though it was only used for this purpose for a few years. The Victorian explorer Richard Burton – whose tomb I visited last year – lived at number two as a child. 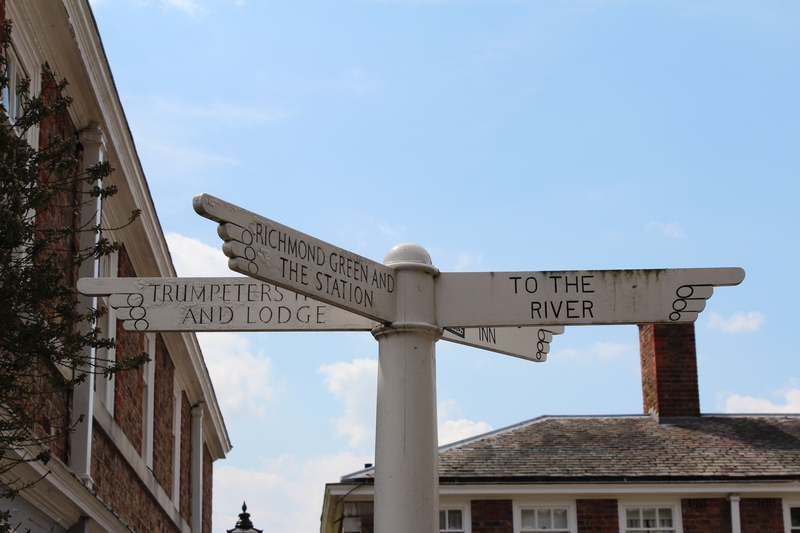 The closest station to the Richmond Palace zone is Richmond, which has all bases covered with tube, overground and National Rail services. 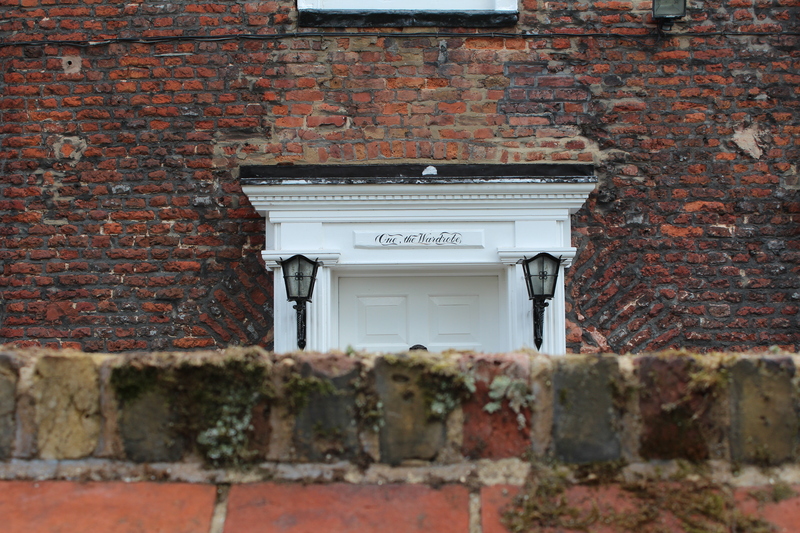 Head to the southern side of Richmond Green to find the site. There are some very informative signs in the park just across the road from the Gate House; I recommend a quick read of these first to glean some basic history and to orientate yourself within this unusual site.